Managing money wisely is one of the most important skills necessary to becoming a financially savvy adult. Only problem is that very few of us actually learned a system or strategy for managing our money. This is where the Money Jars Activity comes in. You see, most people grow up thinking that money has one job…spending. And it’s not their fault! After all, this is what they saw modeled for them for years while they were growing up. But if this is truly what you think money is for, you’ll never have much extra to make your dreams come true, help others make their dreams come true and create financial freedom for yourself. 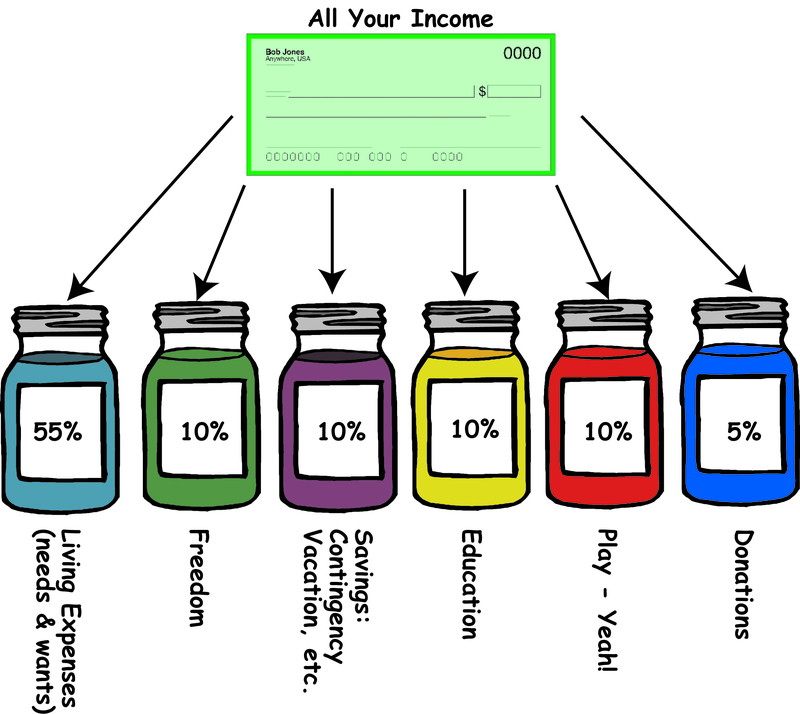 The Money Jars activity shows that money actually has six or more ‘jobs’ so you can begin to use money differently. You might have heard of using envelopes or different accounts (which these can ultimately be). After you learn about The Money Jars, you’ll see the power in compartmentalizing your uses for your income using The Money Jars. Want to learn how to use The Money Jars to manage your money like a pro? 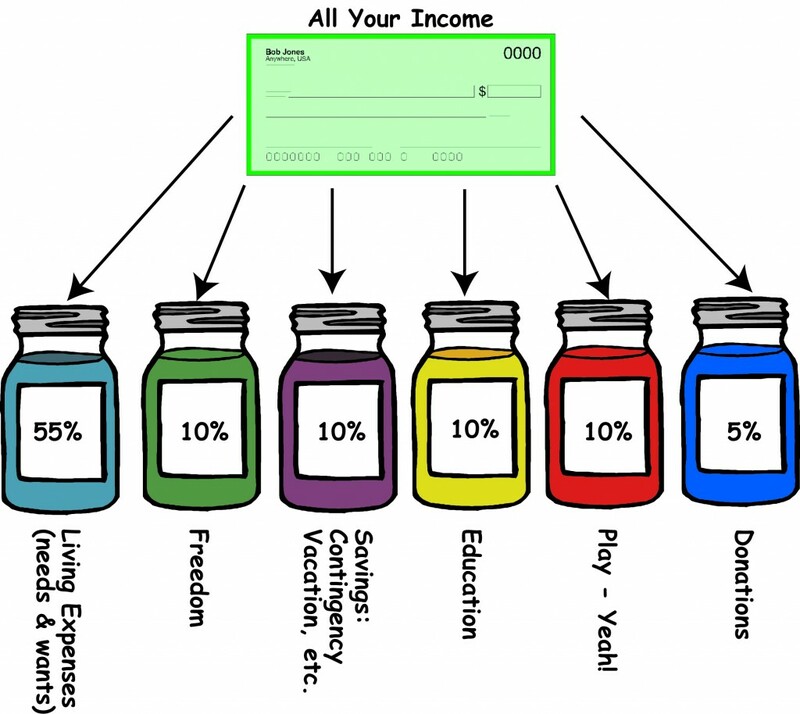 Check out The Money Jars: Your Magically Money Management System. Introducing Your New Best Financial Friend…The Money Jars! The Money Jars is a powerful activity and our participants (ages 10-70) often tell us it’s one of the most valuable financial habits they learn in our programs. Please feel free to download Elisabeth’s ebook, The Money Jars…Your Magical Money Management System and learn all about The Money Jars. And as always, if you have questions about any activity, please call the office at 805-957-1024 or email elisabethdonati@gmail.com.